Partner with the best for your business. 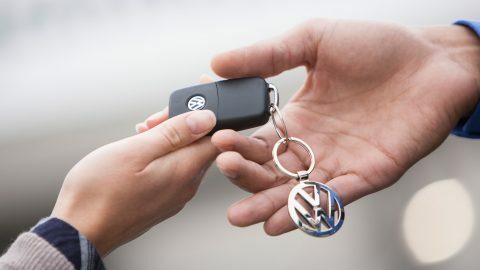 No matter what industry you work in the Caddy always exudes a high degree of competence and dependability. This is achieved through its sharper and clear lines, dynamic front, and redesigned back end. 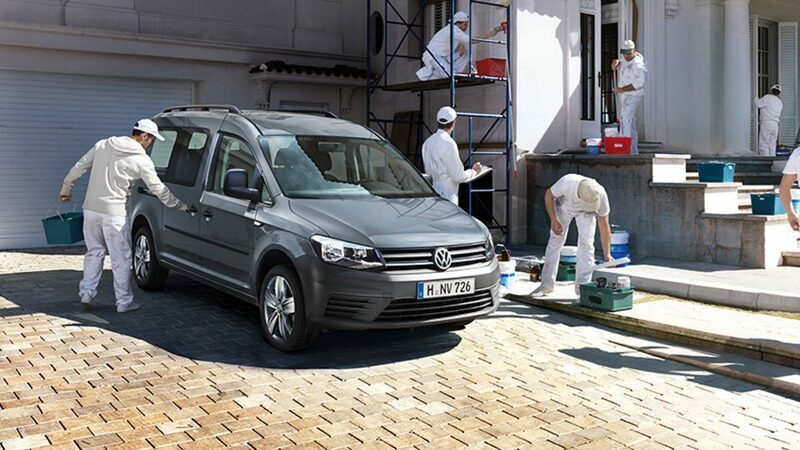 The Caddy Crew Bus come standard with rear wing doors, with an upward lifting tailgate being optionally available. Further highlights include the chrome strip on the radiator grille, and striking headlights. In any and every job, efficiency and organisation is key. 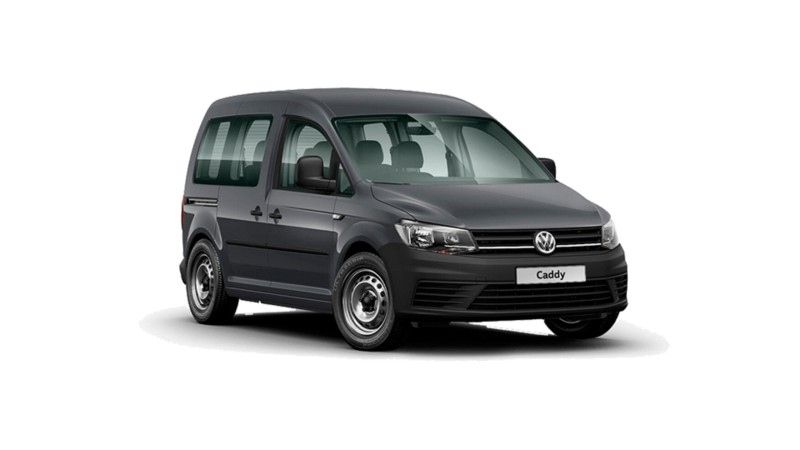 The Caddy offers you the support you need, with a storage system made up of several storage compartments and surfaces of varying sizes. 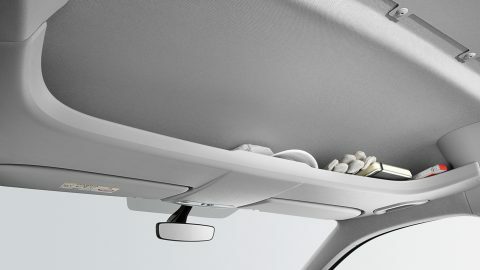 Take, for instance, the roof shelf, which extends across the full width of the vehicle, and opens directly above the driver and front passenger seats. Invisible from the outside, it offers sufficient space for work gloves, a lunchbox, or a notebook computer. The storage pockets in the doors can hold a 1-litre bottle each, while the centre console is equipped with four cup holders. For the first time, two open glove compartments are also included. This keeps everything in the right place. 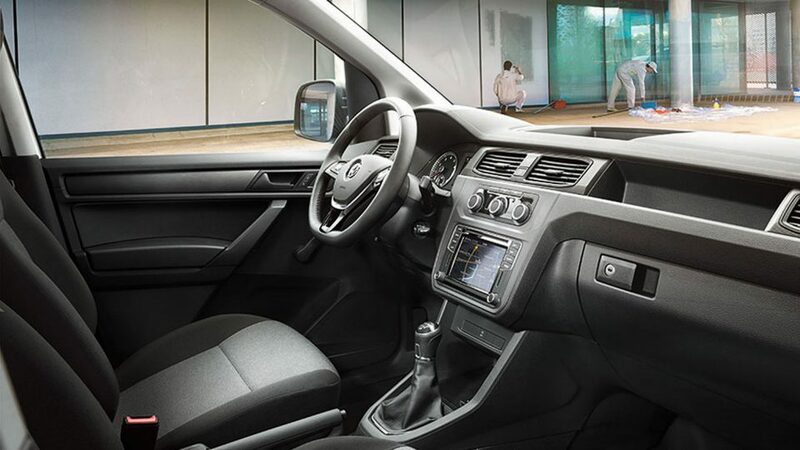 The Caddy has been thoroughly enhanced – outside and inside. 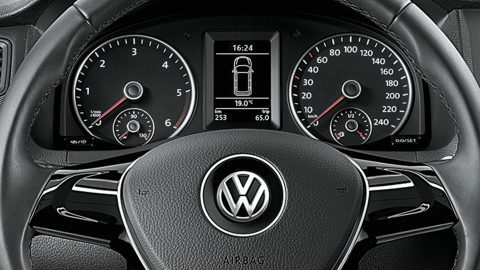 The new, high-quality finish on the cockpit impresses with its clearly arranged instrument cluster and easy-grip steering wheel with sporty flat bottom. This can be adjusted to individual preferences, and promotes a natural seating position. Ergonomically designed seats – available optionally with robust cloth upholstery – and ample head and leg room, as well as improved interior acoustics contribute to greater overall driving comfort. Specially contoured and patented headrests are an additional safety feature for passengers. The wide sliding door and tail-end solutions. Quick and easy loading. From all sides. Hop in, hop out. Load, unload. The doors of a commercial vehicle are opened and closed repeatedly over the course of a day – and heavily strained in the process. That is why the Caddy is built with hinges, rails and handles that are equal to the most demanding conditions. The low loading sill height, and numerous door variants are also a testament to this. 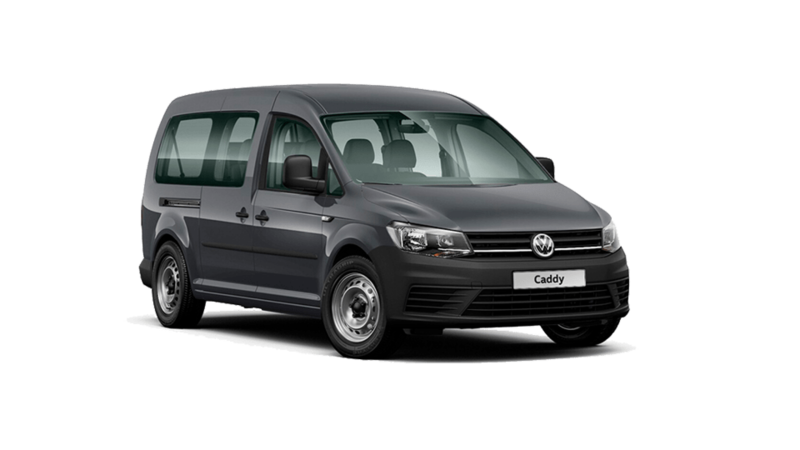 The Caddy Panel Van and Crew Bus both come standard with rear wing doors, with the Crew Bus featuring a large back window and also available with tailgate. The tailgate is equipped with a soft touch closing system as standard for effortless loading and unloading. Dual sliding doors are a standard feature across the Caddy Crew Bus range, on the Caddy Maxi Panel Van and Panel Van Sport. 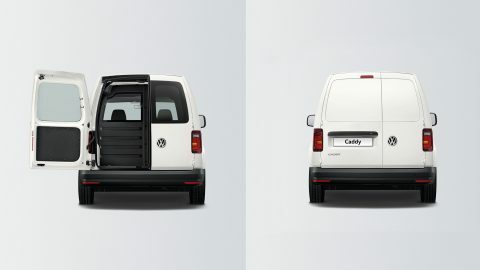 The short wheelbase Caddy Panel Van comes standard with a sliding door on the left with the option of a sliding door on the right.